The Department of Public Works and Highways (DPWH) in Region 3 will mobilize motorist assistance teams in various parts of Central Luzon to assist the public in line with the agency’s program “Lakbay Alalay” this coming Holy Week. DPWH Regional Director Roseller A. Tolentino said on Friday that he has instructed the 14 District Engineering Offices in Central Luzon to set up motorist assistance centers in their jurisdictional areas to assist motorists that will pass through en route to the different provinces in the region. This is in compliance with the directive of Public Works Secretary Mark Villar for all regional directors and district engineers to provide motorists and pedestrians prompt and reliable assistance during Holy Week. 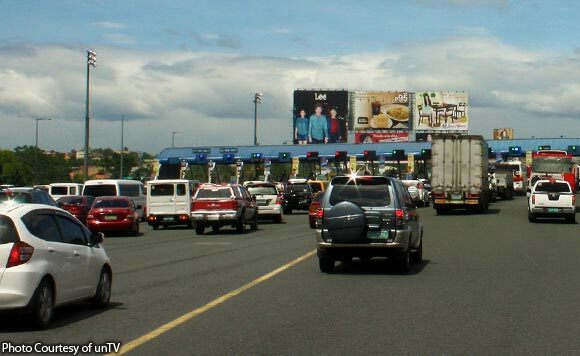 Tolentino noted a significant increase in the volume of motorists headed to major tourism, pilgrimage and religious sites in Central and North Luzon, either via Clark International Airport or major road networks like the Maharlika Highway, Manila North Road and McArthur Highway and the numerous sections of the North Luzon Expressway (NLEX), the Subic-Clark-Tarlac Expressway (SCTEX) and the Tarlac-Pangasinan-La Union Expressway (TPLEX). “Our offices must brace for the surge of traffic and assist motorists who may encounter any untoward incident during their travel and our staff are ready to assist them,” he said. The motorist assistance teams will be on duty from 12 noon of April 17 to 12 noon of April 22. Tolentino said that as per directive of Secretary Villar, proper signages and warning signs must be installed within clear and safe sight distance of all ongoing construction projects. Where construction/improvement/maintenance activities are ongoing, or where traffic congestions on a particular route may be encountered, the DPWH official said that an appropriate traffic advisory should be properly installed indicating the specific locations and corresponding distances of entry and exit points for alternate routes to bypass the traffic-congested areas. sufficient road signages for motorists to see,” he added.